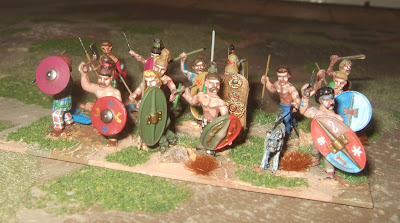 At last, after many weeks of painting checks and plaid, the 25mm Gauls are finished! They are a mixture of 1980s figures; Lamming I bought at the time, and Lamming and Hinchliffes I've bought in recent years from eBay. I didn't want the same poses duplicated over and over so I've done some head and arm transplants and used shields from a variety of sources. 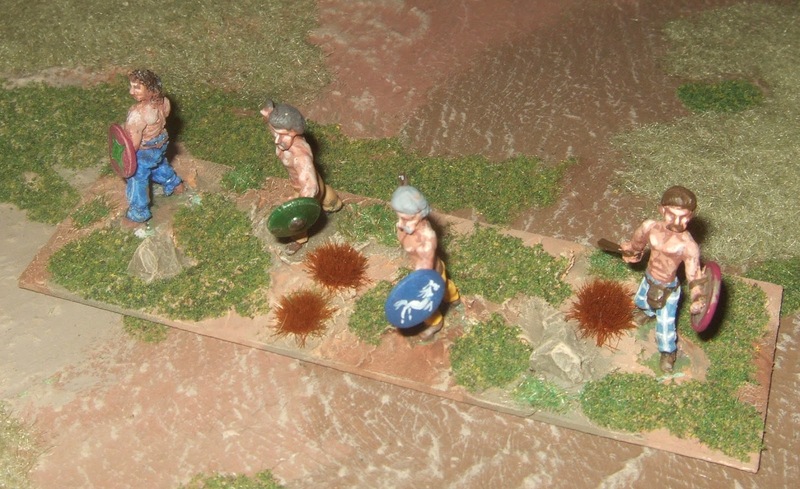 I've now got the hang of painting "arm's length style" for 25mm and 28mm figures. That's to say they should look OK from two feet away. If you want to examine them through a hand lens and make disappointed noises you can sod right off. Labels: 25mm, Ancients, Impetus, To The Strongest!